The resolution isn't great, and I haven't seen any good color e-paper readers; but I'm sure high-resolution, full-color versions will be available in a few years. Bear in mind, e-paper isn't really paper; it's just a clear material used to hold the microscopic beads in place, while still allowing you to see them. The material can be flexible and durable. At the moment, existing systems cannot change pixels as rapidly as can LEDs and other back-lit displays; but that's just an engineering detail. Fairly soon, I'm sure that ultra-fast, high-res, billion-color e-paper displays will be embedded into all kinds of products. When that happens, I predict that manufacturers will swiftly realize the staggering potential: No longer will they have to make products (phones, toothbrushes, vases) in several different colors; customers will be able to program whatever color and pattern they choose. They can take over the creative task of "skinning," or coloring the outside, of virtually any product. The buyer will pick up a "vanilla" phone (cell or home), for example, then program it to be Shockingly Pinko. Or Hi-Ho Silver. Or Tiger-Tiger In the Night. Easily bored or wishy-washy consumers could program their phones to change at an alarming rate, like a screensaver. It's all just electromagnetic pixels anyway! 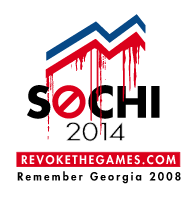 (And by that time, I'm sure the colors and images will be as vivid and smooth as the best magazine-quality ink-jets. But wait, there's more: Why not skin a whole car? Get your Porsche SUV in any external variety you desire -- from standard colors like red or blue, to Psychedelic Joplin, to Naughty Nudies dancing across the side panels. But oh dear... what about the future of law enforcement? Imagine the coppers trying to track a fleeing suspect who can change his entire color scheme a hundred times a second. Ouch! Would the police have to develop other methods of tracking a vehicle? It's likely that in the very near future, consumer products will be "tagged" by microscopic strands of DNA, making it very easy to prove who actually owns some item (and virtually impossible to crack, given the staggering number of potential DNA "codes"). Could the cops develop a method of reading such DNA tags from a distance? If so, they could track a car no matter what barrage of colors and patterns the crook uses in his getaway. But if the police can track a criminal's car or a stolen car, what would stop them from tracking undesirables, dissidents, or critics of the government? In the technology war between tyranny and freedom, one side (aggressor or defender) is generally "up", while the other is comparatively "down." But in this case, it looks almost like a Bundy standoff. Tim Leary once said, the only way to prevent government from discovering your secrets -- is to have no secrets. Whatever you believe, say, or do, do it upfront and unafraid, pledging your lives, your fortunes, and your sacred honor. But be prepared to stand your ground and defend your principles; nobody rides for free. 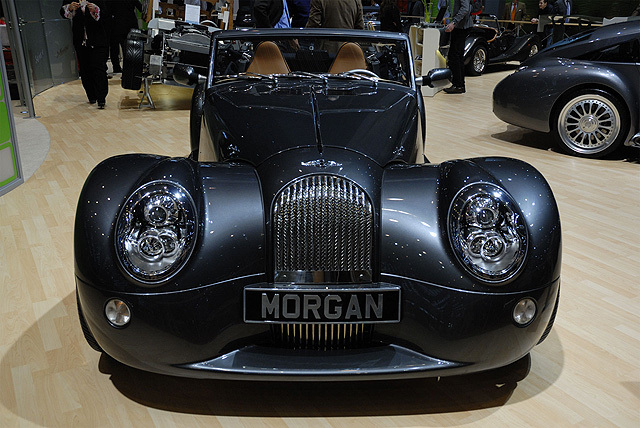 I saw this car, the Morgan Aero 8, on Top Gear, the BBC car program (and the only car program I would ever watch)... and I fell completely in love with it. Alas, it costs hundreds of thousands of dollars, I believe. It's fast, too; top speed is about 170, and it'll do 0 - 60 in about 4 seconds. It corners very, very well as well. That's the model I want -- but I want it in flat matte black, not grey; maybe some pinstriping in gloss black, only visible as reflection when the light hits it just right. I'm an absolute sucker for retro 30s or 40s design; I believe that era was the apex of automobile artistry. Later cars looked like stealth aircraft or shrunken garbage trucks; and now there's a whole industry designed around cars that look like toasters, and "green" cars (enviro-mentalism) that look like roller skates -- and about the same size, too. You don't drive modern ultra-compacts so much as wear them. 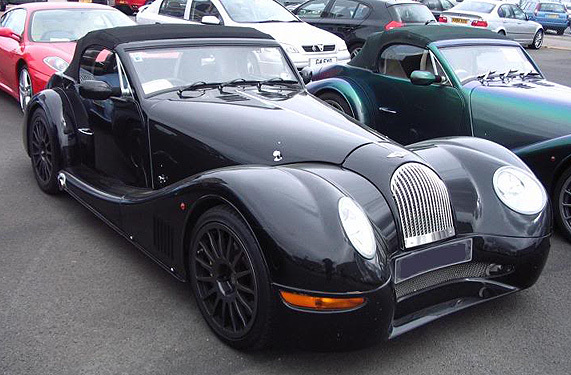 For me, the Morgan Aero and Aeromax are definitely what the hosts at Top Gear call "money no object" cars: If money were no object, I would buy a Morgan Aeromax, no matter how many people I had to slay to get one. Give a Yell for Aerogel! Aerogel is one of the weirdest man-made substances on the planet. First, it's the lightest stuff in the world -- literally: An evacuated form of aerogel is a solid, but is actually less dense than air (meaning it would "float" on air). But it's also an amazing insulator against both cold and heat; it's an excellent dessicant, or drying agent; it can mimic a biological cell, absorb oil, lead, and mercury pollutants... and aerogel armor can even protect against impact from bullet or bomb... or maybe even a car crash. Scientists produce aerogel by taking a silica gel that is mostly water and slowly replacing all the water with air; the process is called "supercritical drying." The result has been dubbed "frozen smoke" (not to be confused with liquid smoke, which lazy cooks squirt on food to simulate barbecue flavor). Aerogel is mostly harmless, though you should wear gloves to handle it, as it can dry and crack your skin by absorbing all the water from it. The quarter-inch of aerogel would mass only a fraction of what a similar volume of current armor masses, allowing equivalent (or even superior) protection with a fraction the weight. Already, soldiers and Marines complain about the sheer weight of the body armor they must wear; it's not uncommon for our fighting men not to wear the "best" armor because it renders them virtually immobile. Anything that decreases the weight will increase the number of soldiers who consent to wear it. In this video, the aerogel stretches but does not break, and the projectile does not penetrate. The same principle applies to vehicles, of course: Combining the light-weight, high-impact-resistant aerogel with the V-shaped bottom of an MRAP vehicle could make devastating IEDs a fading memory. ...This program focused on the use and optimization of aerogels as a high performance insulation material, encapsulated in innovative, lightweight packaging. The aerogel blanket insulation system, with a weight of only 5 pounds, demonstrated a 40 percent reduction in aircraft IR signature during flight demonstrations on an Army OH–58D Kiowa. This is spectacular stuff, all part of a revolution in chemical engineering dating back at least to the 1930s (when aerogel and Bakelite were invented). As I have argued many times, while it's true that our enemies -- al-Qaeda, Iran, the Communists -- adapt to our techniques, we adapt so much more rapidly to theirs, and invent new strategies and tactics out of whole cloth so effortlessly, that I have no fear that we will be overwhelmed by a technology duel... bring it on! Nobody converts basic science into real-world engineering better than the United States of America; we are a nation of hip nerds. Back in August 1989, New Destines VIII published an article of mine titled "Those Greyout Blues." I discussed a program then being pursued by DARPA, the Defense Advanced Research Projects Agency... sort of a Department of Defense "skunk works" funding source. The program was called the Pilot's Associate; and the idea was to develop a plane that could take off, fly, engage in combat ops, drop bombs and shoot missiles, then return and land -- all on its own initiative, without a pilot. The airplane is the size of a jet fighter, powered by a turboprop engine, able to fly at 300 mph and reach 50,000 feet. It's outfitted with infrared, laser and radar targeting, and with a ton and a half of guided bombs and missiles. Of course, the Predator -- our current drone -- already does this, though it carries a much smaller payload than does the Reaper. So what's all the excitement about? The excitement is that the Reaper program indicates that the Air Force finally "gets it": While the Predator seemed a one-shot, a fluke, the Reaper indicates a serious, long-term, future commitment to remotely piloted drones (RPDs)... which will change the very character of future warfare. We have long been able to design and build military aircraft that can take far more punishment than the pilot inside. For a simple example, we already push the limits of the human skeleton and internal-organ integrity with modern fighters, which can execute 9-G turns. During such a maneuver, a pilot who normally weighs 170 lbs instead weighs over 1,500 lbs; he can barely breathe, and his heart simply cannot pump blood that has suddenly grown as heavy as lead "up" to the brain, through arteries that are simultaneously being crushed into significantly smaller diameters. Anti-G suits help, as does a particular maneuver described as trying to overcome constipation by main force. As the subjective centrifugal force builds, the anti-G suit inflates around the thighs and abdomenal areas, squeezing them hard and forcing the blood brainwards, where it is most urgently needed... because once the blood "falls" from the brain back into the body, the pilot loses consciousness -- which most aviation experts consider a suboptimal condition in which to drive an airplane. Modern fighter pilots have developed a technique for aerial combat maneuvers: They pull turns so tightly that they lose just enough blood to lose color vision and for vision to "tunnel down" to a small-radius circle, inside which they can still see the instrument panel; this condition is called "greyout." The pilot holds the Gs at that point; if he pulls harder, there is a good chance he will go from greyout to blackout... and that's probably lights out, as the plane can go ballistic and tumble before the pilot recovers consciousness. But suppose pilots were able to take a sustained G-force of 20 Gs, 50 Gs, without having to experience greyout, let alone unconsciousness -- without any impairment of their flying ability at all. Imagine how maneuverable such aircraft would be -- and what an advantage over enemy pilots stuck in clunky Su-37s! Well, that's exactly what the Reaper promises... by taking the pilot out of the aircraft entirely and letting him (or her) fly the plane from a few miles or thousands of miles away. (I believe that female pilots would be allowed to fly a Reaper in combat, as they would not themselves actually be in the combat zone.) Suppose the connection between pilot and RPD could not be jammed or interfered with, or at least that it was extremely hard to do. And suppose that, if something went wrong and the plane did lose contact with the remote pilot, it had enough AI capability either to finish the mission -- or at least turn around, come back to home base, and land itself. Make no mistake: Planes like the Reaper, and perhaps future versions that don't even need to be remotely piloted, are the future of military aviation; and this innovation will swiftly spread to warships at sea and armor on the ground. That last possibility has been discussed in military circles (and even among wargamers!) for decades. So-called "Ogre" tanks that are completely solid, containing no humans and having either a very small profile (hard to hit) -- or alternatively, being as much as a kilometer in size and armed with numerous tiny "Ogrelets" it can deploy as it rolls ponderously along... unstoppable by anything short of a strategic nuclear missile. Small-sized Ogres could drive into a river, roll up unseen and underwater, only to suddenly emerge already firing on the enemy. But an RPD could also be so tiny it's overlooked... a miniscule RPD shaped like an insect that can crawl and fly, all controlled by a human operator somewhere else. The next "fly on the wall" AQI leader Ayyub Masri sees could contain a camera and microphone and be broadcasting his most secret plans directly to Gen. Petraeus. "With more Reapers, I could send manned airplanes home," [Lt. Gen. Gary] North said. The core idea is this: Human beings cannot take too much acceleration; they cannot be folded into a tiny space; they require air instead of water to breathe; and they can be killed by poison gas, by radiation, by impact, and by intense heat. But we can design machines that are not subject to those same limitations... so long as they don't need to waste precious resources protecting human cargo. We can already make war machines tremendously more effective than our current stockpile; the only thing holding us back is the need to accomodate the (relatively) fragile human body. So if we remove that soft body, then we have no restrictions other than the physical limits of materials science, remote telemetry, and artificial intelligence. Imagine the scene in one of the Terminator movies where we see the actual battle in the future... then subtract the trite yawner of a science-fiction theme that the machines will seize control and attack us. The future is nigh, moreso than ever before; and if we believe Alvin Toffler, it will be even more "nigh" next year, changing ever faster, accelerating along an exponential curve, until we all begin to experience "future shock." But for now, I will bet money that those who live perpetually in the 7th century will be considerably more subject to future shock than those who have at least kept up for the last fourteen hundred years.